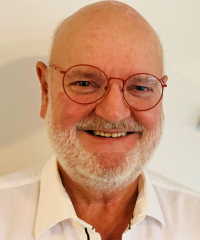 Chester Rendell joined the team at New Zealand Sothebyâ€™s International Realty in mid 2016 after working for nearly 20 years as a specialist in residential, waterfront and lifestyle properties together with high end hospitality and tourism businesses and properties. He has an excellent understanding of how hospitality and tourism businesses work having been involved himself in these businesses for over 15 years. From 2000 Chester led his previous companyâ€™s drive to establish their presence in the South Pacific Islands, in particular Fiji, selling resorts, waterfront real estate, residential resort developments and private holiday retreats and is still involved in selling Fiji and Pacific Islands real estate today. Chester has now settled in with New Zealand Sothebyâ€™s International Realty and sees huge value in being involved with a truly international brand. Chester is based in the Bay of Islands and lives in Paihia with his wife Louise.